For complex hydraulic equipments of today’s time which can be used for multiple operations; hydraulic tees are an integral part. Hydraulic tees are basically a T shaped which can be used either for dividing the flow into two different paths or for combining the pressure of two different paths of a circuit in a singular path so as to increase the pressure. 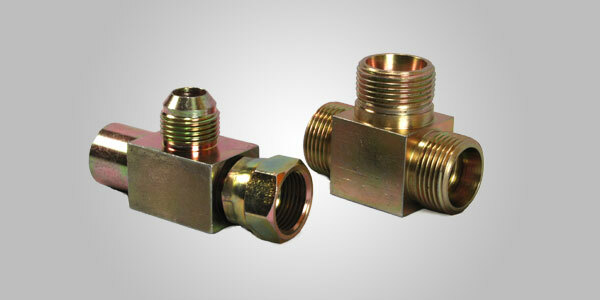 These Hydraulic tees are metal components with threaded ends either male or female in order to make a joint on either side. At our faculty we strictly implement the kaizen style of working and our Research & Development Department works hand in hand with Quality Control Department so as to ensure each and every equipment is precise and performs with high accuracy without compromising on the pressure while diversion or dividing of the force. Our experience in manufacturing these hydraulic tees backed with our unmatched customer service and technical assistance is what stands us apart from the huge competition of the highly diversified industry of hydraulic tees.